Follow the rise of ambitious and ruthless Eva Peron through the eyes of the future revolutionary leader Ché Guevara as she becomes the beloved Argentinian iconic First Lady, worshiped by her people. Andrew Lloyd Webber - the mind behind THE PHANTOM OF THE OPERA and CATS - captures musical gold with his Grammy® Award-winning score. 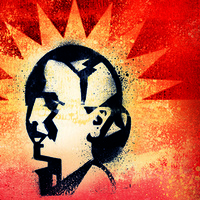 EVITA combines Latin music, pop, jazz and musical theatre styles that have captivated audiences for over 40 years. Winner of 7 Tony® Awards, EVITA shines with its female and male star power and highly involved, meaningful chorus with lyrics by Tim Rice and music by Andrew Lloyd Webber.